There are four basic parts of a cannabis supply chain: cultivation, processing, distribution and retail. We wrote in “De-risking cannabis pt. 1” that cultivation businesses become less risky and more valuable as they demonstrate an ability to produce sellable product. The more they produce (and sell), the less actual risk exists in their operating assets. Similarly, the more active and efficient a company’s operating space is, the better a chance one tends to give their under construction spaces. For now, the retail is being handled by the provinces on line, and a combination of private and government operators in the physical world. Distribution to 342,000 registered Canadian medical patients (as per Sept.) is being taken care of by the LPs themselves, whose legacy systems sell direct to patients in a holdover from the pre-retail days of the ACMPR at the moment, but medical sales are in the process of transitioning to clinic networks and pharmacies. The recent licensing of Loblaws (TSX:L) subsidiary Shoppers Drug Mart puts medical marijuana in the mainstream, and makes it look like the cannabis future may have a spot for aspiring medical marijuana middlemen like Namaste Technologies (TSX.V:N), who are up 42% since putting a lid on CEO Sean Dollinger’s clown act in December. But all the distribution in the world won’t matter without supply, and it’s the supply that appears to be the problem, so Fundamental Hype is still focused on these cultivation businesses at the moment. While big footprints jump off the page on an investor deck, they aren’t a solution to a short term supply crunch. In that context, the recent interest that the larger LPs have shown in smaller private operations makes a lot of sense. Between 192,000 square feet of operating space at Aurora Cannabis (TSX:ACB)(NYSE:ACB), and 1.5 million on the way, the 77,500 square feet in Whistler Medical Marijuana Co.‘s full build out (estimated from press releases and media reports) shouldn’t make a difference but, at the moment, it obviously does. They didn’t make a $175M offer just for the genetics. Whistler is consistently producing high-test that commands a premium, and they’re keeping it in stock. Aurora’s interest might indicate that simple production is very important to companies of whom it is currently expected. Which brings us to this Tilray Inc. (NASDAQ:TLRY) deal for Natura Naturals. Natura is a pure cultivator. Its founders are proud of their farming roots. They’re men of commercial science who know their craft. There’s no way to know what Natura’s output is, because the private company doesn’t file quarterly disclosures. 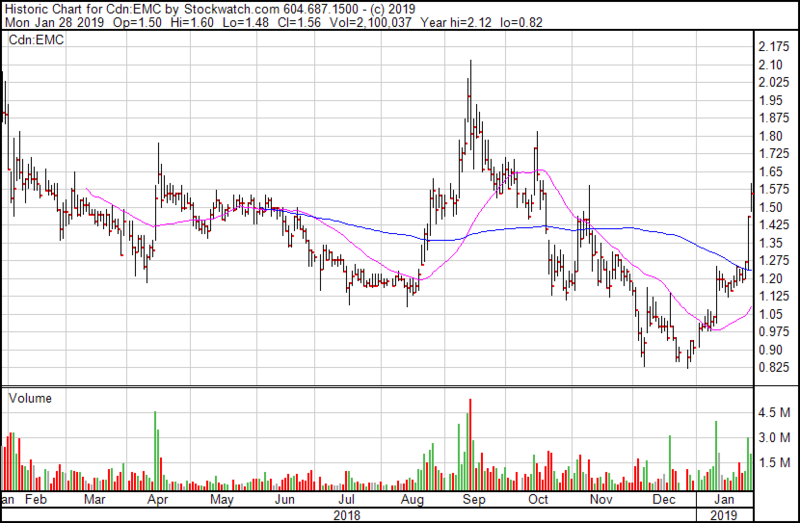 Emblem Corp. (TSX.V:EMC) (soon to be part of Aleafia (TSX.V:ALEAF) ) was early to the party at Natura, doing an aggregate $5M worth of deals to help Natura get set up and operating in 2018. Emblem reps declined comment for this story, and since it’s unknown how many shares are outstanding in Natura, we’re going to have to wait a while yet to find out how EMC did in this buyout. The more interesting question is how the buyout might affect the supply agreements that Emblem negotiated at the time of their Natura financings. Emblem up sharply two days in a row and trending upward. Their last news, Jan 8th, said that Shoppers Drug Mart would carry Emblem brand oil for medical patients. Between a cash financing and the warrants that came with it, EMC controls 7.5 million shares of Natura that they got for just under $7 million in cash (assuming they’ve exercised the warrants). The supply agreement entitles them to buy 3,000 kg of product per year from Natura at preferred wholesale pricing… at least it did when they signed up. As part of the purchase of Hiku by a third party, the third party terminated the Hiku supply agreement with the Company. The third party purported to terminate the Tokyo Smoke supply agreement with the Company at approximately the same time. The Company does not believe that the agreement could be terminated by the third party and is pursuing all available legal options associated with the position taken by the third party. Since Natura is a private wholesaler, we don’t really know how much of their product is in provincial stores wearing another label. LPs buy wholesale to meet demand on medical and rec markets, and a reliable supply looks attractive in this market… it’s worth up to $75 million to Tilray… We also don’t know what portion of Emblem’s production (if any) was being grown at Natura. Emblem sold 60 kg of product, all in the medical market, in the quarter that ended in September, so a 5,000 kg supply contract isn’t insignificant. Tilray reports having sold 1,613 kg over that same quarter. 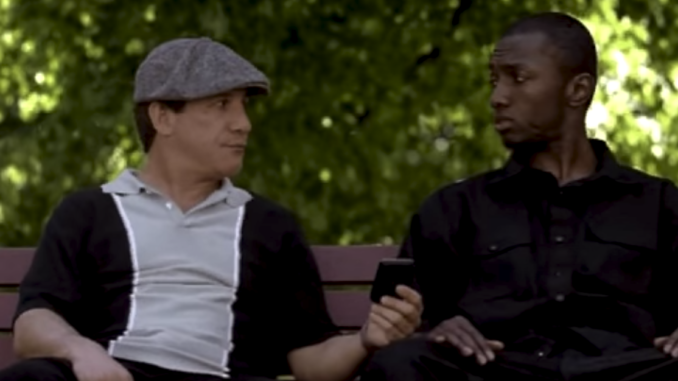 Is the price of a brick goin’ up? We don’t now what Natura Naturals is producing out of that 155,000 square feet and, since Natura is a private company, there aren’t any public filings from which to extrapolate. The company’s only retail brand, 13 Leaves, announced in November, isn’t presently carried in any of the provincial dispensaries, but they received a bulk sales license back in November, bringing up the possibility that some of the volume that other LPs are doing through the provincial stores are wholesale bud bought from Natura. Tilray may chose to discontinue such wholesaling arrangements, preferring to use the product to further their own brand development. Who else has the goods? Dispensaries with products in our sample stores, shown by products in-stock. Blue dispensaries are private companies. With no way of looking at these private co’s volumes, the only way to do a comparison is by number of products. The number that they’re able to keep in stock should give a rough idea of their ability to deliver. Of the companies whose volume we do know, the largest producers are among the top product counts, so a rough correlation makes sense. We note again, that there’s no way to tell how much of Natura’s product was hiding behind another label. The largest private cultivator by number of products in stock is Redecan, but a recent recall for pesticide contamination makes any interest in that operation unlikely. United Greeneries and Canada’s Island Garden are next in line, both of whom show respectable stocking rates. BC’s own Tantalus Labs is the only privco with a 100% stocking rate. 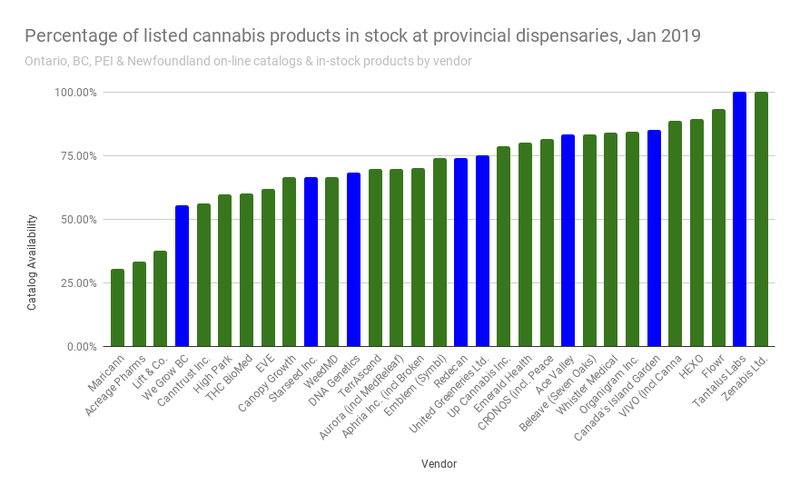 Our most recent look at stock in provincial dispensaries (completed Jan 2nd) showed an aggregate availability of only 69% of listed SKUs. That was nearly a month ago. 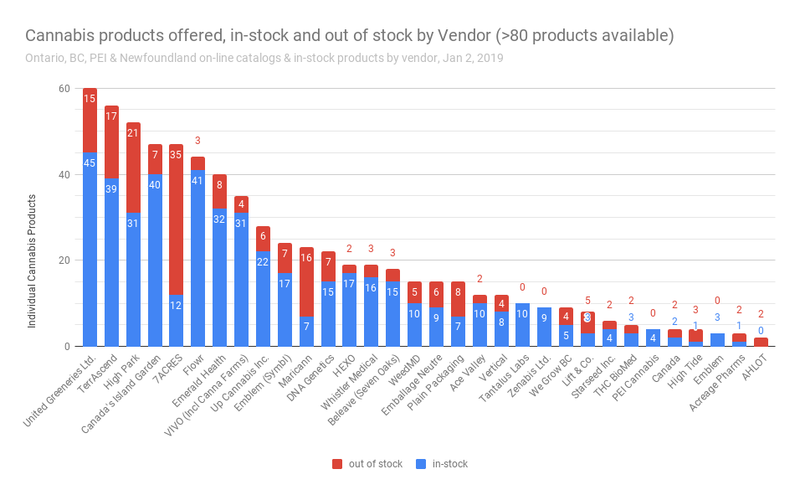 The Alberta and Quebec dispensaries (the biggest that we haven’t built scrapers for) are listing way more products out-of-stock than in-stock. Quebec currently carries only four flower products, one oil, and no pre-rolls. 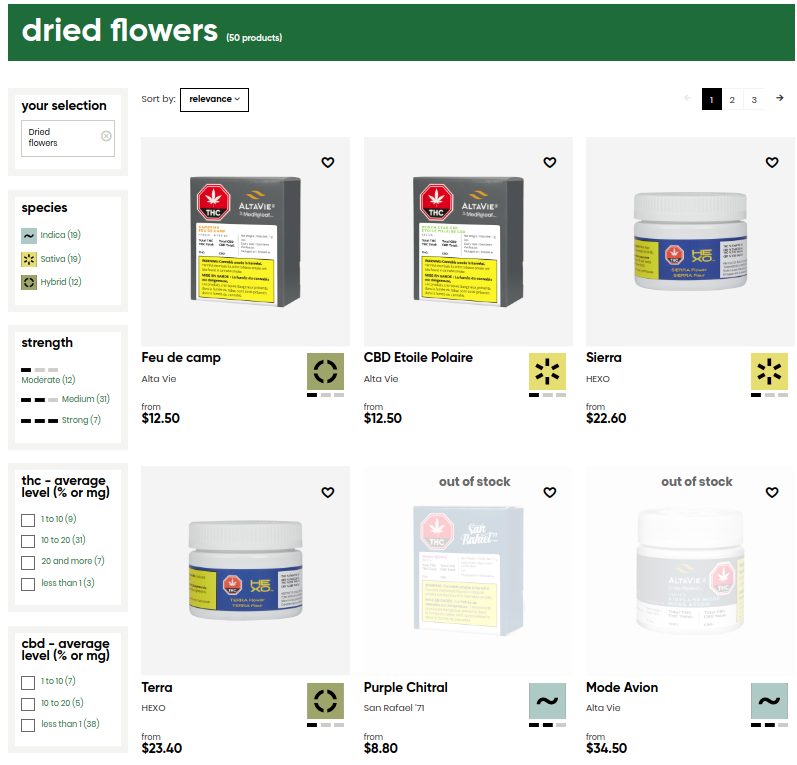 There are presently four kinds of flower in stock at the Quebec provincial online dispensary. It isn’t just the online provincial dispensaries in our sample having supply problems. Canopy-owned Tokyo Smoke is showing 86/113 listed cannabis SKUs out of stock right now, putting their in-stock product rate just under 24%. 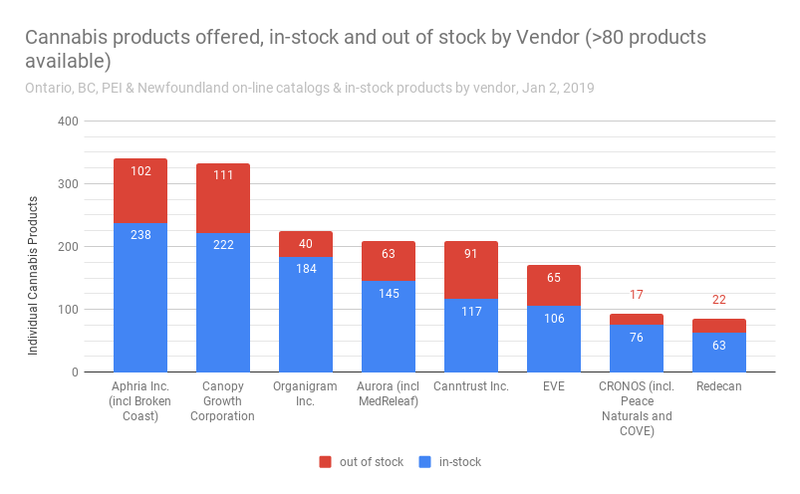 The line coming out of the bigger licensed producers is that Health Canada isn’t licensing their facilities quickly enough to give them a chance at producing more supply. Media is parroting this, and it certainly does ring true. Marijuana Business Daily’s excellent work on the backlog yesterday made it seem like HC isn’t giving any priority to existing producers, inspecting new applications on a first come first serve basis, and being their detail-oriented, government inspector selves along the way, which takes time. 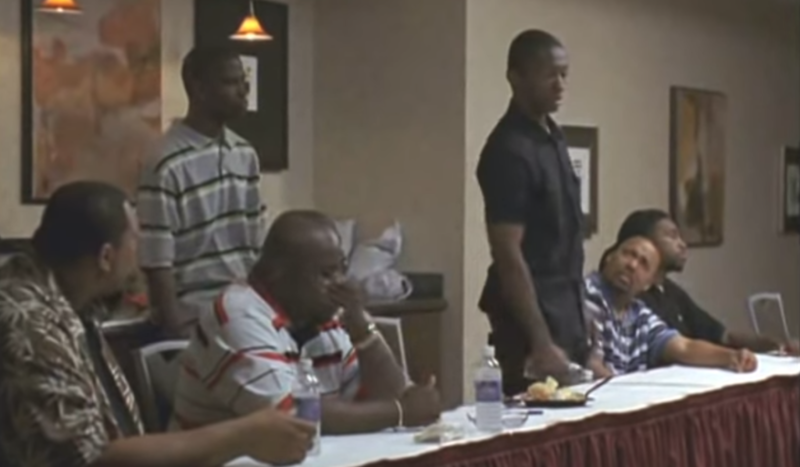 Whether the licensing holdup is an excuse or a reason doesn’t ultimately matter. Until the licensing gets moving, there’s no way to be sure if these enormous barns being built are actually able to crank out quality product at pace. The author is a shareholder of Aleafia. He may own various other securities mentioned in this post as part of a fund. CORRECTION: An earlier version of this post reported that EMC held a convertible note entitling them to 2.5 million shares of Natura. A closer examination of EMC’s filings reveals that Natura repaid the loan in cash, bringing EMC’s position in Natura to 7.5 million shares upon exercise of the warrants. Fundamental Hype regrets the error.